The Columbine Trail, in North Cheyenne Cañon, is made up of three connecting trails: Lower Columbine, Middle Columbine, and Upper Columbine. The easiest of the three trails is definitely Lower Columbine, but that doesn’t mean you should skip past it. There are several points where you can access the trail while driving up North Cheyenne Cañon Road, but the official start is just behind the Starsmore Visitor and Nature Center. 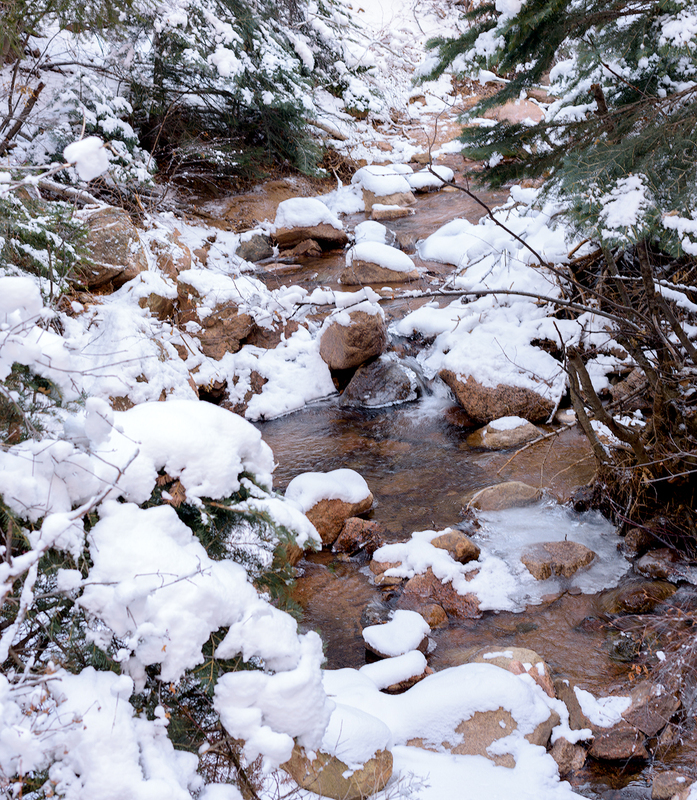 One of the highlights of trekking along Lower Columbine Trail, is that it’s right next to North Cheyenne Creek. The constant flow of water works its way around boulders, splashing against the stones. Just about anytime of the year, you can hear the creek echoing through the canyon as you climb closer to the famous Helen Hunt Falls. The trail follows along a gentle curve, with only a slight gain in elevation, for about the first mile. At this point a series of easy switchbacks climb through the evergreens. Several spots open up to views of the canyon walls, and reaching rock towers. On a quiet day in the park, you might not realize how close you are to North Cheyenne Canyon Road, but the trail will eventually cross over the road. Be careful when crossing. Most days the park is very busy, and the cyclist, and car traffic will be heavy. After crossing the road, Lower Columbine follows the contours of the canyon walls, and winds towards the parking area for Middle Columbine Trail. You can always continue up Middle Columbine Trail for a more elevated view of the park, and the canyon below. The return hike from the Middle Columbine Trail parking area is all downhill, and as you’d expect just as enjoyable. 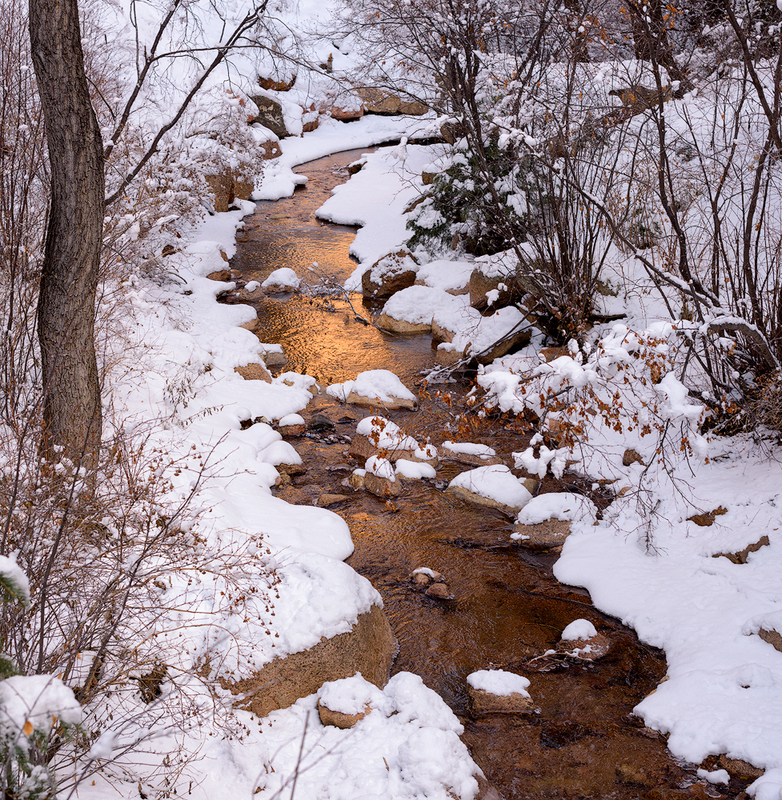 If you haven’t already, stop and explore the creek edges, and enjoy all the sights and sounds.